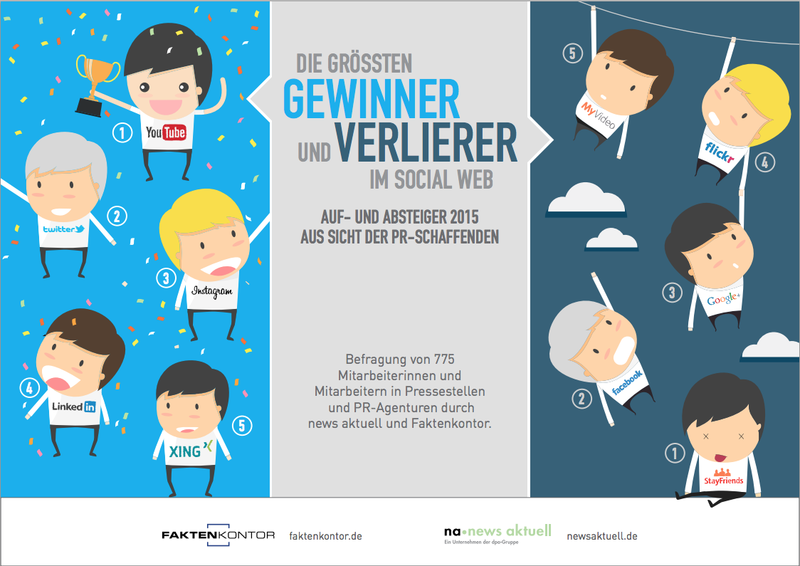 YouTube and Twitter become increasingly important for German marketers, whereas Facebook and Stayfriends lose their meaning for marketing and PR. 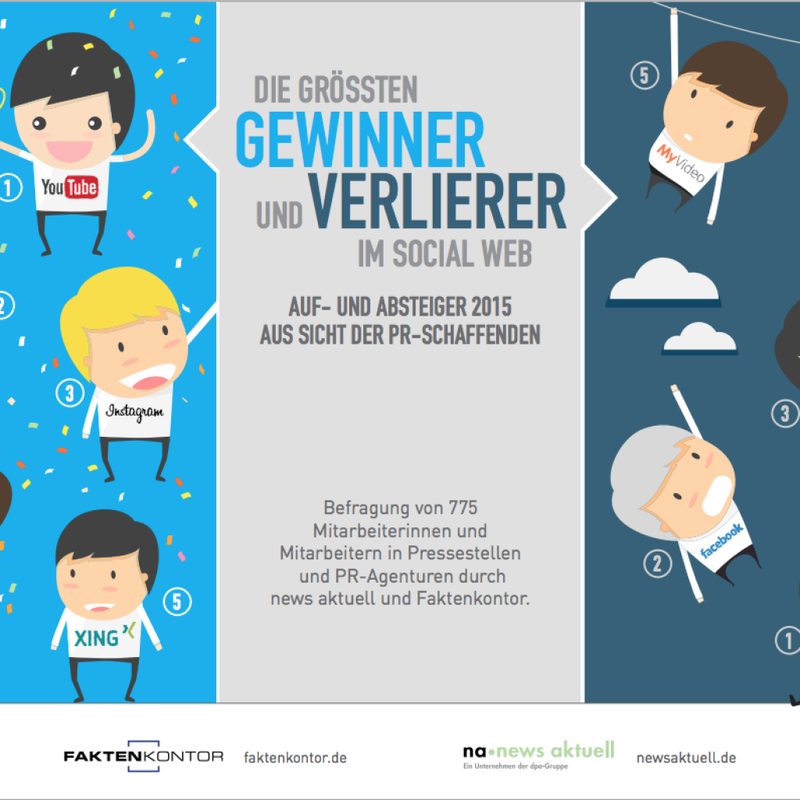 This is the result of a joint survey of Newsaktuell (PR Newswire) and Faktenkontor. For this research companies and PR agencies have been asked which social media channels will gain or lose importance for PR work. More than 770 managers from press offices and marketing departments of various companies and agencies participated in this survey.